With this review sheet, kids practice words ending with ED. 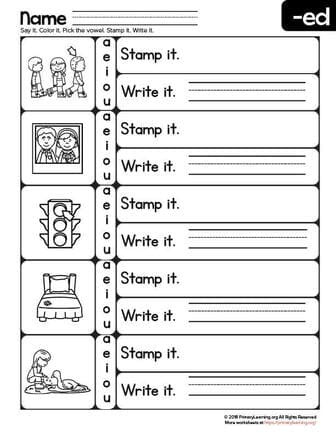 Kids color the picture, write and stamp each word. Kids review four words: red, wed, fed, led, and bed.